Lebanon currently faces major interlocking challenges that threaten its stability. 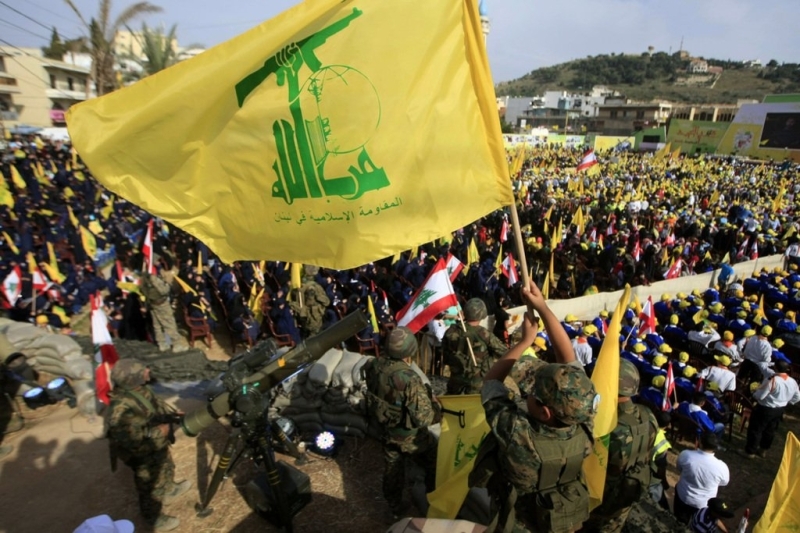 These include potential hostilities between Israel and Hizbullah, Sunni–Shia rivalry, and the erosion of Lebanon’s economy by the Syrian civil war. Lebanon currently faces major interlocking challenges that, while not unprecedented, threaten its stability. The key hazard stems from growing tensions between Iran, on one hand, and the so-called Sunni alliance (comprising Saudi Arabia, the United Arab Emirates and occasionally Egypt), Israel and the United States, on the other. For the contestants in this struggle for regional influence, Lebanon looms large for two main reasons. Firstly, it is situated between resolute adversaries Israel and Syria. Secondly, it is home to Hizbullah, one of the most powerful political and military players in the region. A Shia militia and political party, Hizbullah is closely aligned with Iran religiously, ideologically and strategically. It is the only political entity in Lebanon permitted to deploy a militia that is not within the national military chain of command. The national Lebanese military, the Lebanese Armed Forces, enjoys the qualified support of the United States and France, but its combat capabilities are meagre compared to those of Hizbullah. For Iran’s adversaries, Hizbullah’s political primacy and military power are troubling for several reasons. Along with Syria, which is Iran’s most important state ally in the region, Hizbullah provides Iran with a political and operational foothold in the region and, more particularly, in effect places Iran on Israel’s border. Although Iran possesses intermediate-range ballistic missiles, Israel’s sophisticated anti-ballistic-missile defences require Iran to acquire an even larger inventory of missiles to effectively challenge Israel from a distance. Tehran has therefore exploited its tight relationship with Hizbullah to introduce up to 150,000 rockets and missiles into Lebanon, transforming it into a launching pad for a quantity of conventional warheads that could seriously damage Israel’s infrastructure and economy while also inflicting a sizable number of civilian casualties. For Iran, this capability constitutes a strategic deterrent to Israeli aggression against Iran itself or its interests elsewhere, including in Syria. At the same time, Iran is reluctant to unleash Hizbullah on Israel since doing so would expend its deterrent. So far, there has been no Israeli threat that Tehran regards as sufficiently grave to trigger such drastic action. Owing to the value of its deterrent, Iran criticised Hizbullah harshly in 2006, after the group kidnapped Israeli soldiers patrolling the Israel–Lebanon border and provoked a 34-day war. This threatened to undermine Iran’s deterrent – hence the unusual subsequent statement by Hizbullah’s leader, Hassan Nasrallah, expressing regret for the provocation. The regionally brokered May 2008 Doha Agreement, however, did not require Hizbullah to disarm. Washington and western European capitals effectively acquiesced to Hizbullah’s continuing maintenance of an armed militia, indicating that they were unwilling to undercut Hizbullah’s dominant position in Lebanon. Since then, Hizbullah has been instrumental in maintaining Iran’s effective presence in the region. At Iran’s behest, it has deployed thousands of fighters from Lebanon to Syria to defend the regime of Syrian President Bashar al-Assad against Sunni rebels supported by Saudi Arabia, the UAE and Qatar, and, to a lesser degree, the US, Turkey and Jordan. Hizbullah entered the civil war in mid-2012, when Assad was under the most extreme pressure from the rebels, long before Russia began its military intervention in September 2015. Without Hizbullah, Assad’s regime might not have survived. Hizbullah’s power in Lebanon is not due solely to Iranian material support and the tolerance of the international community. Many Lebanese who are not Shia support the party, which is strongly nationalist and seen as a bulwark against Israel’s military power. (Israel occupied southern Lebanon for 20 years and carried out highly destructive attacks on the country in 1982 and 2006 after provocations launched from within Lebanese territory by Palestinians and Hizbullah, respectively.) Also reinforcing Hizbullah’s hold on political power is an unexpectedly durable coalition with the Free Patriotic Movement (FPM), Lebanon’s largest Christian political party, founded by Michel Aoun – a former general and prime minister who now serves as Lebanon’s president. These unlikely allies have converged on matters of mutual interest – in particular, good relations with Syria and an electoral system with strong patronage benefits. Despite their inability to deliver day-to-day services, they have ensured that the civil war of 1975–90, in which an estimated 100,000 Lebanese people were killed, has not reignited. Christians constitute about 40% of Lebanon’s population; Shia and Sunni Muslims each account for around 27%. Thus, the Hizbullah–FPM coalition enjoys a decisive political edge over Lebanon’s Sunni minority. The wreckage left by the war, especially in Beirut, is still visible. For many Lebanese people who remember the violence, it was remarkable to see National Geographic showcase Lebanon as one of 2018’s ‘best summer trips’. For many Lebanese, Hizbullah deserves much of the credit for Lebanon’s survival. Lebanon tends to view the maintenance of peace among its many political factions as a major achievement and even an existential necessity. Yet keeping Lebanon politically intact has entailed a degree of Iranian influence that Iran’s Sunni adversaries see as inimical to their geopolitical interests. Hizbullah’s support for Assad, which has frustrated the sustained efforts of the Gulf Arab states to dislodge him, is a particular point of contention. In November 2017, a speech by Lebanese Prime Minister Saad Hariri lauding Iranian support for Lebanon moved Crown Prince Muhammad bin Salman, Saudi Arabia’s ambitious new leader and the architect of its rollback strategy against Iran, to assert Riyadh’s interests in Lebanon. Hariri, a Sunni, is accustomed to navigating the region’s dangerous sectarian and geopolitical tensions; his father, who also served as prime minister, was assassinated in Beirut by Syrian agents, with Hizbullah’s assistance, in February 2005. But his family has significant business interests in Saudi Arabia and has long been intimately connected to Saudi royalty, so an invitation from the Crown Prince to spend a day in Saudi Arabia was not regarded as ominous. Upon Hariri’s arrival in Riyadh, however, there was no honour guard, let alone an invitation to a conversation with the king, the crown prince’s father. Hariri was put under arrest, held incommunicado and a day later forced in front of a camera to broadcast a denunciation of Iran and announce his resignation. After a brief interval, international pressure on Saudi Arabia forced Hariri’s release from detention. When he returned to Lebanon, he retracted his resignation. From a Lebanese political perspective, the appearance of posters bearing Hariri’s image and the caption Kulna Saad (we are all Saad) underscored broad popular rejection – even among many Sunnis – of Saudi Arabia’s attempt to undermine the Lebanese political process and drive a wedge between Hizbullah and Lebanese society. It was a spectacular own goal for bin Salman. Although voter turnout was low, Lebanese parliamentary elections in May 2018 reinforced popular support for Iran’s involvement in Lebanon. Of 128 seats, Hizbullah retained 13; the FPM and allied parties captured 29; and Amal, another Hizbullah supporter, won 13. At the same time, parties that oppose Hizbullah, or want its power significantly checked, lost ground, including Hariri’s own Future Movement and its independent allies, which secured only 22 seats (compared to 40 before). At this stage, Iran’s allies seem to be as entrenched as ever in Lebanese politics, including through ministerial appointments that ensure control over key services and large patronage networks. Lebanon’s new government must also deal with a struggling economy. According to the World Bank, Lebanon’s economy is likely to stagnate over the medium term; macro-financial risk is forecast to be high. Annual growth will hover around 2%, far below the 4–6% growth rates Lebanon enjoyed before conflict broke out in Syria. Lending criteria will tighten over the medium term, given the discovery of a larger number of non-performing loans than previously reported by the Banque du Liban, Lebanon’s central bank. Imports are increasing, exports shrinking. The fiscal side of the equation is equally dim, as interest payments on colossal public debt – which stood at 157.5% of GDP at the end of 2016 – are pushing the fiscal deficit to a projected 8.3% of GDP. Lebanon’s foreign-exchange position is seriously at risk because domestic political uncertainties – fuelled in part by Saudi Arabia’s abduction of the prime minister – have reduced capital inflows. In conjunction with the trade deficit, which shows no sign of shrinking, this will take a toll on the Lebanese pound. As might be expected, liquidity conditions are increasingly unfavourable, with average deposit rates on the Lebanese pound and US dollar only 6.41% and 3.89% respectively. The cumulative economic and social impact of the Syrian crisis is a major factor in Lebanon’s internal distress. The number of Syrian refugees in Lebanon is estimated at 1.5 million (Lebanon’s population is about 6.3m). The impact on Lebanon’s public finances, capacity for service delivery and general environment has been correspondingly severe. According to the European Bank for Reconstruction and Development, approximately 200,000 Lebanese have joined the 1m Lebanese citizens who were already below the poverty line prior to the arrival of Syrian refugees. Unemployment appears to have increased considerably as well, perhaps by as much 300,000, primarily among unskilled young people. Because the latest official poverty rate is based on data from 2011–12, analysts are uncertain about the actual level, but it is clear that it is severe. In March 2018, Hariri, now reinstated as prime minister, visited Saudi Arabia for what was characterised by Beirut and Riyadh as a convivial reunion of old friends with mutual interests in mind. As economic conditions make clear, Lebanon needs foreign investment. Practically speaking, Riyadh is Lebanon’s only regional source of major support, as Iran presently lacks the resources for economic intervention that it had in 2006 after the Israel–Hizbullah ‘July War’. If bin Salman concluded that outbidding Iran for Lebanon through wide-ranging infrastructural investment could prove more effective than direct confrontation, both Lebanon and Saudi Arabia would arguably be better off. But the fact remains that, whether from an economic or strategic perspective, the Lebanese are not masters of their own fate. Looming over Lebanon’s tense (geo)political and economic circumstances is the threat of a devastating regional war with Lebanon at its centre. Israel supports Sunni militias in Syria, and since 2012 has not hesitated to carry out airstrikes on Hizbullah targets there to ensure that no Syrian weapons cross into Lebanon. More recently, Israel has also conducted strikes on Iranian targets to discourage Iranians or their proxies from establishing a permanent military presence in Syrian territory. Israel and Russia are currently developing a plan to facilitate the redeployment of Syrian Arab Army (SAA) units to southwestern Syria, and United Nations Disengagement Observer Force (UNDOF) personnel to the Syrian side of the Golan demilitarised zone, while nudging Iran and its proxy forces out of the area. Should the plan be successfully implemented, Israel would be more assured that Iran could not establish a permanent military presence in Syria and the threat of war would recede somewhat. Some portion of the Syrian refugee population might even be able to return home, relieving some of the stress on Lebanon’s public finances. If Iran could be persuaded to permanently halt its programme to upgrade the range and accuracy of Hizbullah’s missile and rocket inventory, the risk of war would diminish further. Whether Israel can realise these key objectives – ejecting Iran and its proxies from southwestern Syria, halting Iran’s enhancements of Hizbullah’s arsenal – is highly contingent. Iran’s Islamic Revolutionary Guard Corps (IRGC) has maintained a high-level presence in Syria for six years, and Tehran considers a friendly regime there a vital strategic asset. Hizbullah’s weaponry, substantially replenished and improved by Iran, quantitatively dwarfs what it had before the 2006 war by a factor of ten, according to US intelligence agencies; its arsenal probably includes the Iranian-made Fateh-110 missile, which is considerably more accurate than anything Hizbullah fielded in 2006. Israeli officials assess that Hizbullah could fire as many as 1,200 rockets per day in a future conflict, versus 100 per day 12 years ago. If present efforts falter and ongoing mutual provocations by Iran and Israel escalate into sustained armed conflict, it is extremely likely that Hizbullah would be involved. In that event, under a strategy in place for a decade calling for the use of disproportionate and overwhelming force, Israel would be prepared to enter Lebanon again, in the air and on the ground, with the intention of comprehensively disarming Hizbullah with little regard for civilian casualties or collateral infrastructural damage. The casualty count would likely be high and the physical damage grave, given that Hizbullah has consciously located its missiles and launchers in civilian areas. Lebanon could find itself in circumstances not dissimilar to those it faced in the latter part of the twentieth century. The analysis was initially published by our partner the International Institute for Strategic Studies.